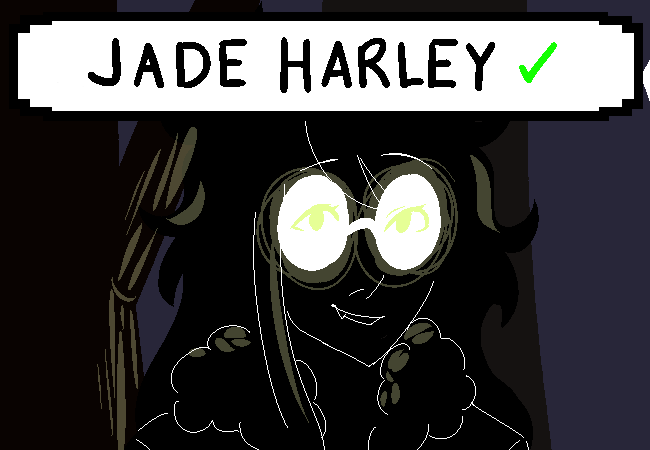 Your name is JADE HARLEY. 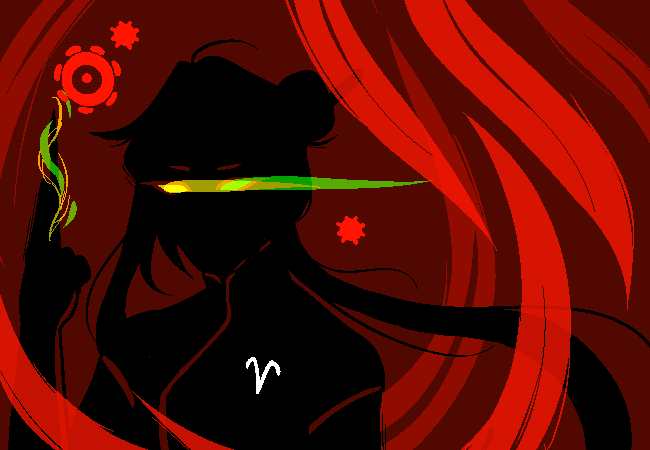 Otherwise known as your SUBJECT CODENAME, LUPUS, you are the fourth member out of eight in the Zodiac 1 experiment group. Group 2, if you remember, is made up of twelve subjects (you really hate that word). Group 3 was the only group that got caught during the THIRD REBELLION, where ZODIAC 1 and 2 along with a few of the SPRITED subjects escaped. Currently, Group 1 is separated and you're trying to find your friends. Your main goal is to find Group 4, the SHIMASTISMOÚ, ten older members who managed to escape the lab awhile ago and lead NORMAL(?) lives, at the cost of giving up their children. However, finding out about subject ARIA would be cool, too. You heard rumors and whispered LEGENDS about her all the time, and she's kind of your idol. She was the first one to ESCAPE, when the lab was first opened, and also the strongest of ALL the subjects. They said she was given IMMORTALITY and the ability to JUMP THROUGH TIME, but you know better than to believe silly nonsense like that. Your friend can't even STOP TIME for more than a minute, so being able to travel through it? Impossible, especially considering she was the FIRST. Right now, you are in THE FOREST, surrounding the lab that stretched on for many miles in the middle of PRETTY MUCH NOWHERE. However, you think you smell with your wolf nose SOMETHING FAMILIAR, but you're not sure you want to know. The scent of your OWN BLOOD might also be messing up your enhanced scenting. ==> Tell more about subject ARIA. Oh man, you could talk about her for AGES. ARIA, as stated previously, was something akin to a LEGEND in the lab. She was the first to be experimented on, and the first to escape, and some of the... less stable subjects held her as a GODDESS. Though, many of those subjects have "mysteriously vanished." Sometimes, you wonder if the RUMORED IMMORTALITY isn't just a RUMOR. You hope to be as strong as your idolization of her someday. As far as you know, she has TWO that share her genes, each one in ZODIAC GROUP TWO and ZODIAC GROUP THREE. You're actually close friends with the one in ZODIAC GROUP TWO, but THREE's is a little... scarier. They called her the HANDMAID, as she PRETENDED to work with the higher ranks of the lab. You believe her name, according to ONE OF THE SPRITED, was IRODIADA MEGIDO. Though that's only spoken in WHISPERS, because if you say it around any of the HIGHER RANKS, that spells bad news for you. Luckily, even if you are a big fan, you are VERY GOOD AT KEEPING SECRETS. You have rings on your hand to remember them, too! Finding her would be A BLESSING, as you now are trying to break out GROUP THREE, at least that's what you last heard before the BREAK OUT. However, doing that might take some TIME, as you are VERY SEPARATED FROM ALL OF YOUR FRIENDS RIGHT NOW. And the fact that she HASN'T BEEN SEEN IN OVER TWO DECADES might also make things harder. Even then, the sighting of her may have not even been real. Her other rumored ability to CONCEAL HERSELF FROM REALITY is also very intriguing. When you do find the SPRITED that told you her name, you must remember to ask him about ALL HER RADICAL RUMORED ABILITIES. He's something like a walking WIKIPEDIA. Literally. Speaking of your friends, you really do hope none of them got HURT in the break. That would be very sad, and incredibly bad. Especially considering the kinds of SUBJECT CONTAINMENT WEAPONS that have been developed over the years. Like energy swords. Or plasma guns. Or automated machine guns. Or laser traps. ==> Jade: Explore the forest. ==> Briefly be something like a walking WIKIPEDIA.